We are a certified and trusted organization that is engaged in manufacturing, supplying and exporting high quality SIB Steam Boiler. All the products are designed and manufactured by expert professionals using high-grade raw material and components. These products are provided to customers at their end within the stipulated time frame. 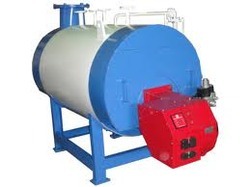 Looking for SIB Steam Boiler ?